Oatmeal is made of hulled oat grains – groats – that have either been milled (ground), steel-cut, or rolled. Ground oats are also called “white oats”. Steel-cut oats are known as “coarse oatmeal” or “Irish oatmeal” or “pinhead oats”. 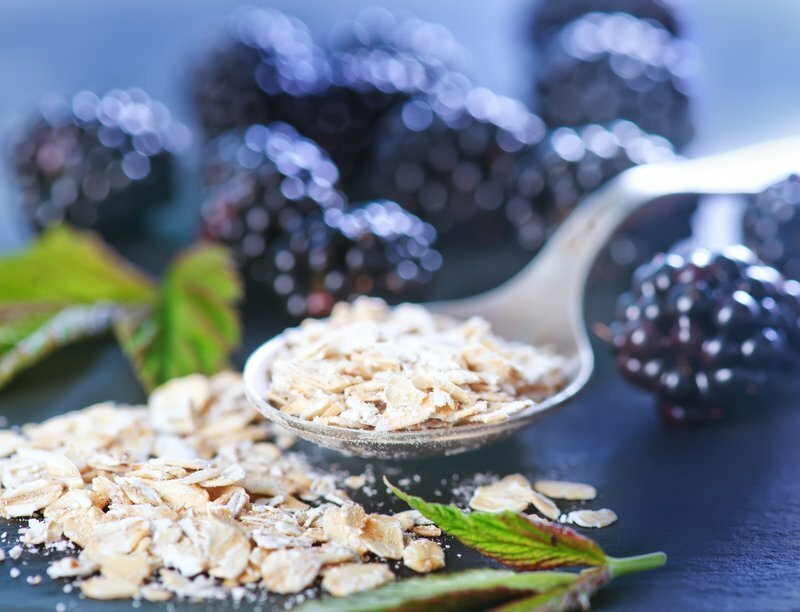 Rolled oats can be either thick or thin, and may be “old-fashioned”, or “quick”, or “instant”. The term “oatmeal” is also used in the U.S. and parts of Canada as another word for an oat-based porridge popular in such countries made from either ground, steel-cut, or rolled oats. January is National Oatmeal Month. Click here to view all January Food Holidays. 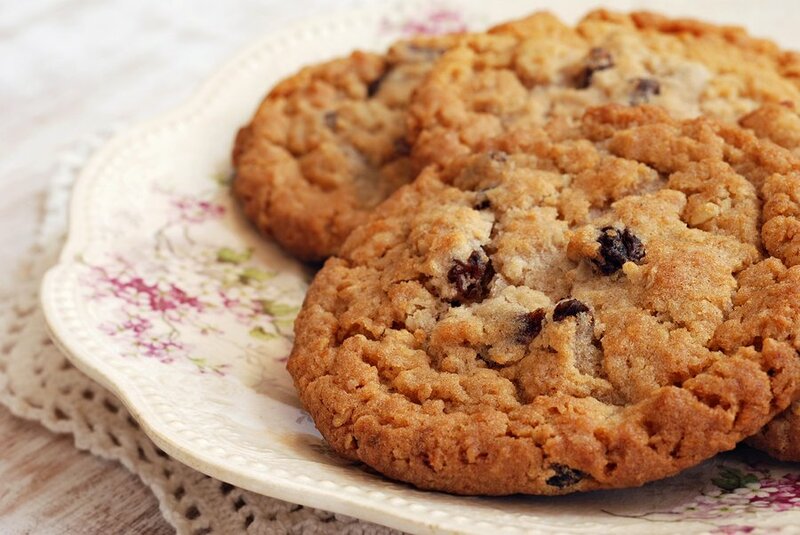 March 19 is National Lacy Oatmeal Cookie Day. Click here to view March Food Holidays. April 30 is National Oatmeal Cookie Day. Click here to view April Food Holidays. 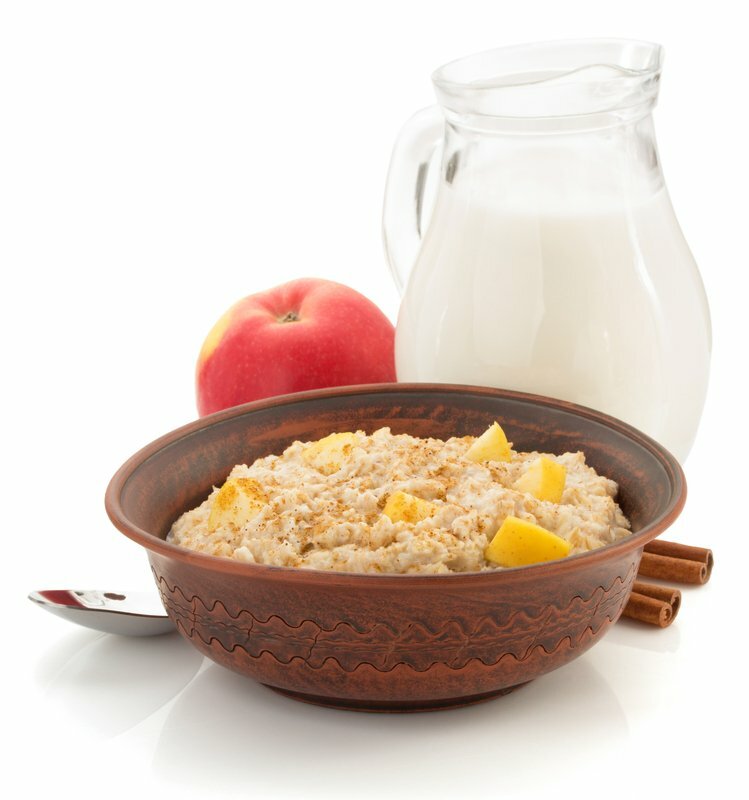 October 29 is National Oatmeal Day. Click here to view all October Food Holidays. December 19 is National Oatmeal Muffin Day. Click here to view all December Food Holidays. 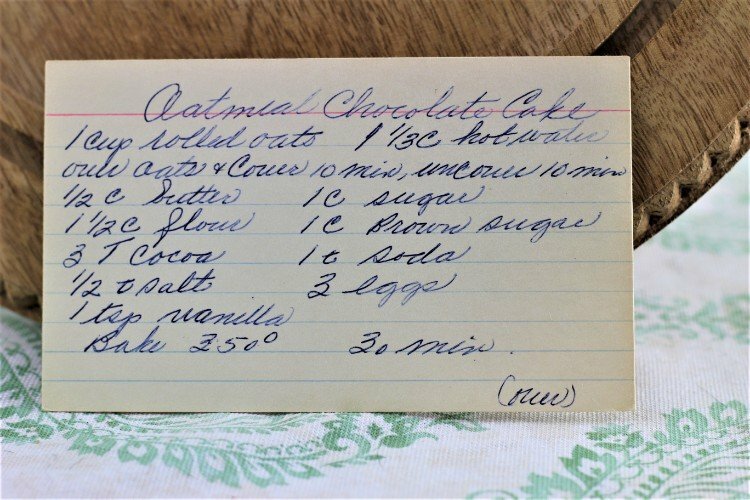 Oatmeal Chocolate Cake from Vintage Recipe Box 98. Oatmeal and Nut Bars from Vintage Recipe Box 034. 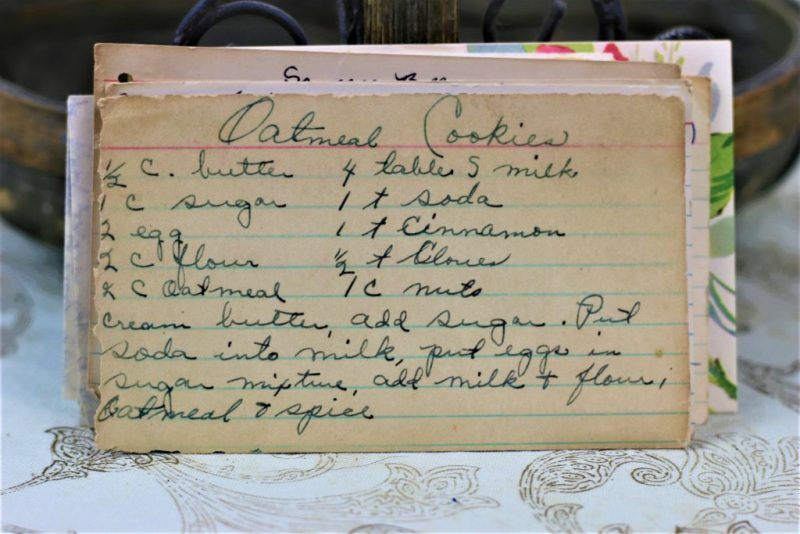 Oatmeal Cookies by Minnie Snyder from Vintage Recipe Box 001. Oatmeal Cookies from Vintage Recipe Box 012. Oatmeal Pudding Cookies from Vintage Recipe Box 034. Oatmeal Cookies from Vintage Recipe Box 090. Oatmeal Cookies from Vintage Recipe Box 100. Oatmeal Macaroons from Vintage Recipe Box 014. Unbaked Oatmeal Cookies from Vintage Recipe Box 90. Oatmeal and Date Bars from Vintage Recipe Box 034. Nut Oatmeal Cookies from Vintage Recipe Box 90. 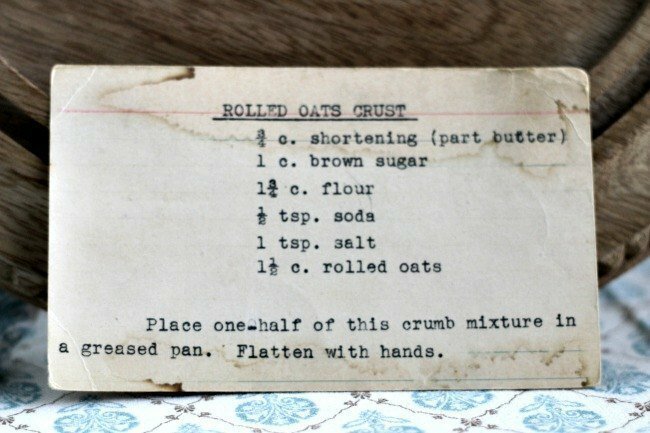 Oatmeal Scotchies from Vintage Recipe Box 90. 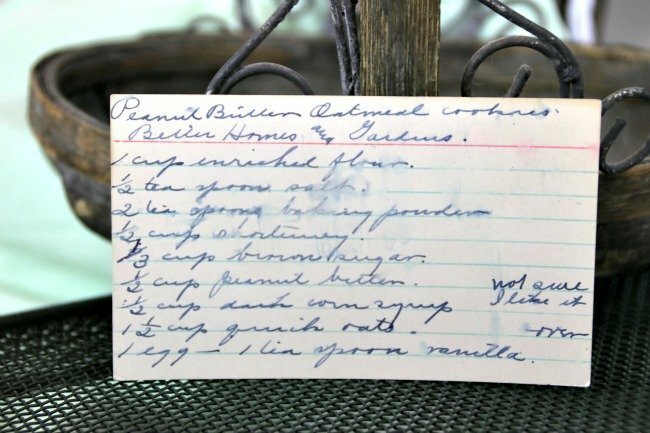 Peanut Butter Oatmeal Cookies from Vintage Recipe Box 012. 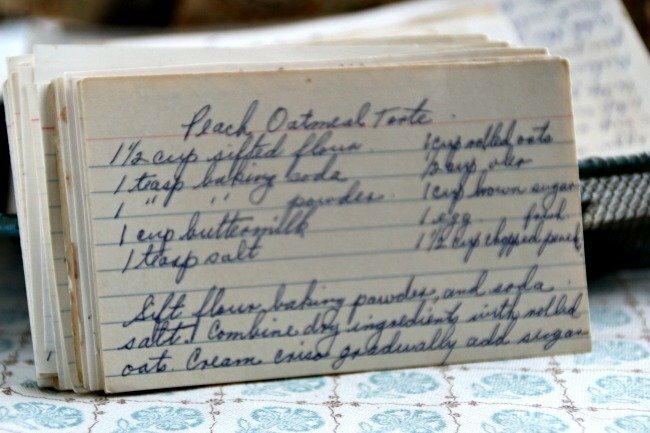 Peach Oatmeal Torte from Vintage Recipe Box 034. Rhubarb Crunch from Vintage Recipe Box 034.